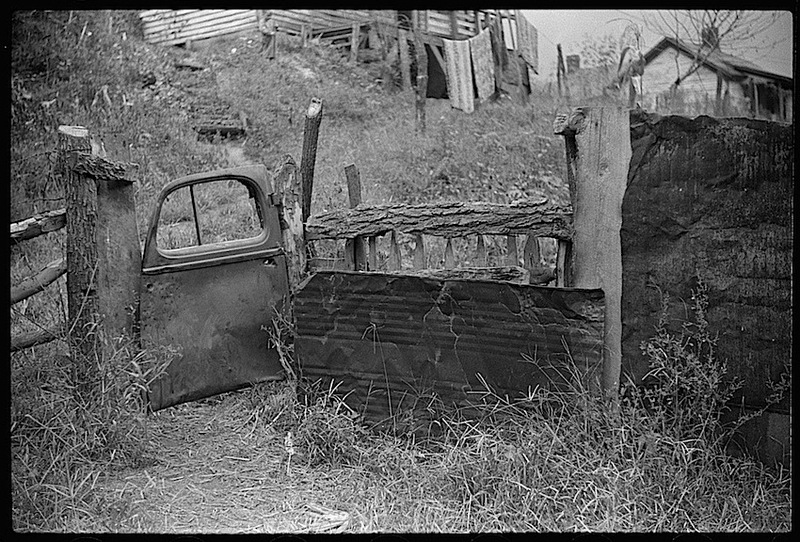 Gate and fence in coal miner’s front yard, Mohegan, West Virginia, September 1938, by Marion Post Wolcott, via Library of Congress Prints and Photographs Division. 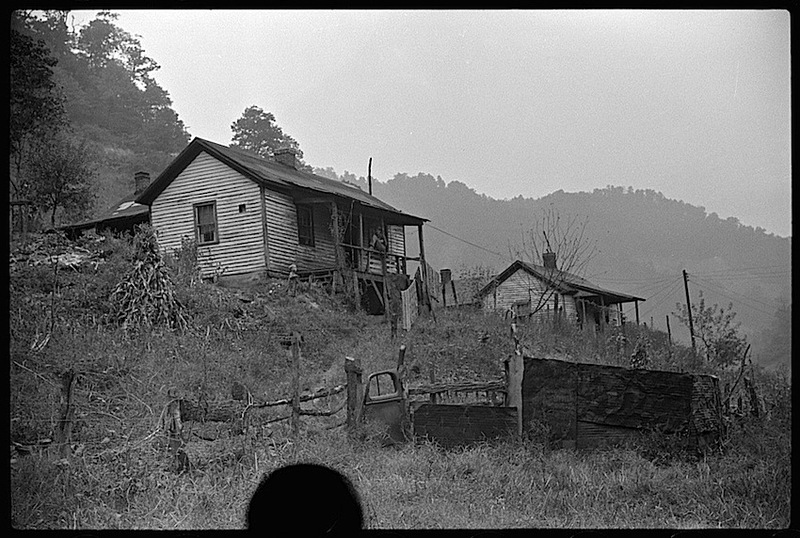 Mohegan was a coal mining community or “camp” of McDowell County. It was abandoned in the 1940s.